Jack and Annie are ready for their next fantasy adventure in the bestselling middle-grade series-the Magic Tree House! Have you ever met a real live ninja? 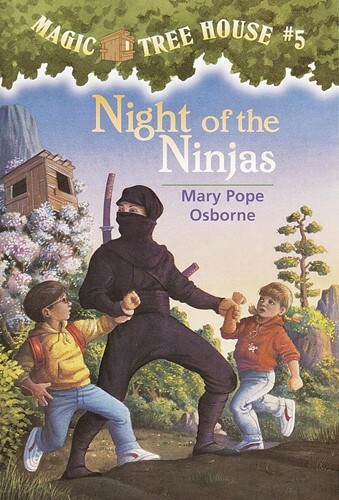 Jack and Annie do when the Magic Tree House whisks them back to ancient Japan, where they find themselves in the cave of a ninja master. Will they learn the secrets of the ninja? Or will the evil samurai warriors get them first? Visit the Magic Tree House website! MagicTreeHouse.com From the Trade Paperback edition.